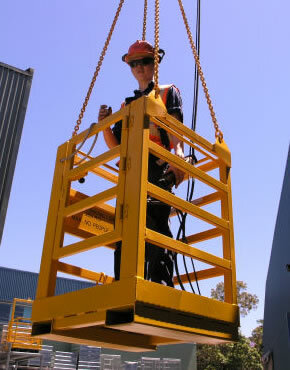 Crane cage is suitable for 1 person. 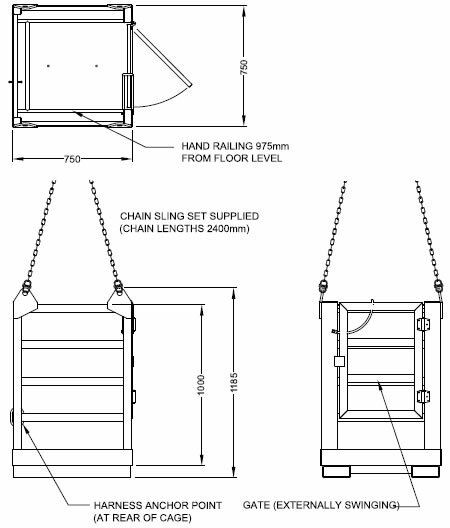 It is supplied with lifting chains. Fork pockets provided strictly for transport purposes only.